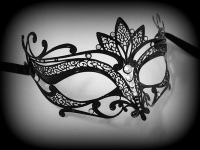 Ultra-glamorous, yet with a daring edge, this Papete Filigree Masquerade Mask is a must-have for setting the trends this season. A fashion-forward design in stunning nero black laser cut metal paintwork. 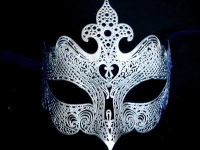 Toughen up your look and add designer chic to your wardrobe with this filigree mask. 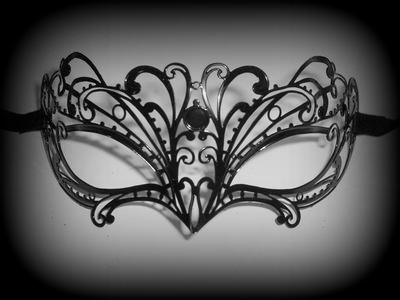 Great for making a statement this ladies petite fit elegant mask is perfect for the smaller face.